A new version of the T-PHOT software package including major upgrades is publicly released and is available for downloading below. In this release v2.0 (Merlin et al., 2016) some minor bugs have been corrected (see file log.txt in the tarball) and, most noticeably, some new features and options have been implemented. Of course, all the options included in the previous public release v1.5.11 are still fully available and the code can be run with the old-style parameter files. • Individual source registration (dance): after the fit, a refinement of the spatial registration of the objects is performed on individual basis rather than on arbitrary regions. • RMS threshold to exclude sources from the fit: if a source includes a pixel with RMS exceeding a given value, it will be excluded from the fit. • Production of model and residual images with selected sources: this option can be useful to isolate or subtract a selection of chosen objects. Feel free to test the new features and contact me (emiliano.merlin@inaf.it) for any issue/problem/comment/suggestion! Download the T-PHOT 2.0 tarball from here. To install and use the code, untar the tarball and follow the instructions in the tphot/README file. It is recommended to subscribe to the T-PHOT mailing list, to be informed about updates and new releases: to do so, please send an email to emiliano.merlin@oa-roma.inaf.it with object “Add me to T-PHOT mailing list”. Comments and help requests are welcome. 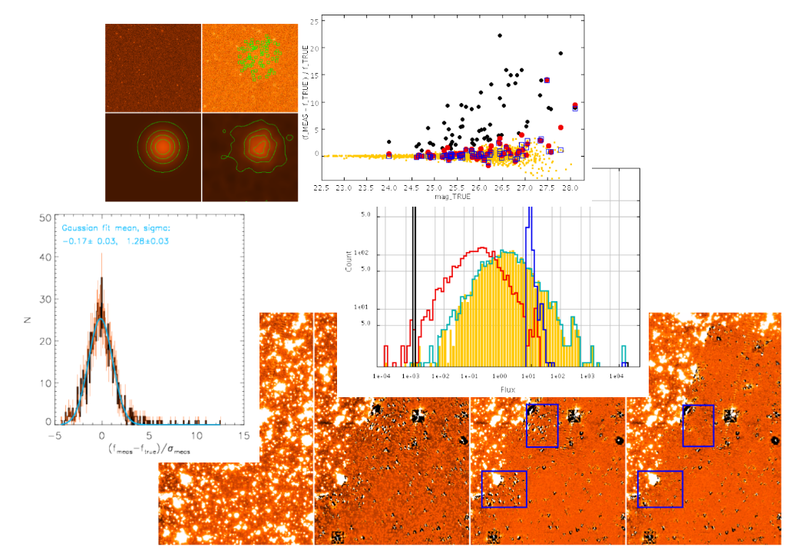 Please remember to cite the paper “T-PHOT: A new code for PSF-matched, prior-based, multiwavelength extragalactic deconfusion photometry” (Merlin et al. 2015A&A,582A,15M) and the research note “T-PHOT version 2.0: improved algorithms for background subtraction, local convolution, kernel registration, and new options” (Merlin et al. 2016A&A,595A,97M) if you use T-PHOT for your scientific publications.